Now that I've moved house I have lost my reluctant blog photographer, my brother. 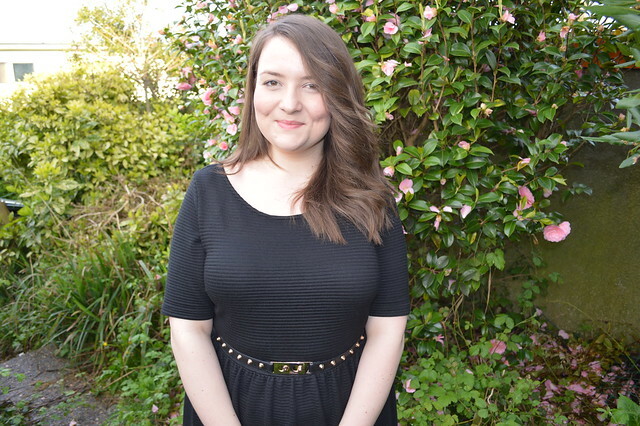 I now have to persuade Martyn to take photos but I don't think he did too bad a job. My very overgrown garden provided a nice spot for some photos of my new favourite dress. I picked the dress up for a tenner in the M&S sale and have worn it a handful of times already. You really can't go wrong with a plain black dress. I've worn it to work and for my day out in Caerleon with friends. I headed to Caerleon over the bank holiday for a catch up over lunch with my best friend and to explore the history of the village. Isca Silurum was a Roman legionary fortress and settlement, the remains of which lie beneath parts of the present-day village of Caerleon. It's only about a 5 minutes drive from my new house and close to Newport. 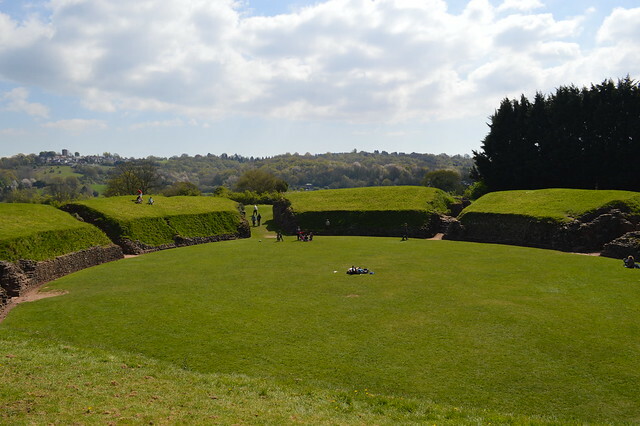 It's now called Caerleon which is derived from the Welsh for "fortress of the legion". and the only remains of a Roman legionary barracks on view anywhere in Europe at Prysg Field. It's pretty impressive that all this is so close to my house and around 2000 years old. 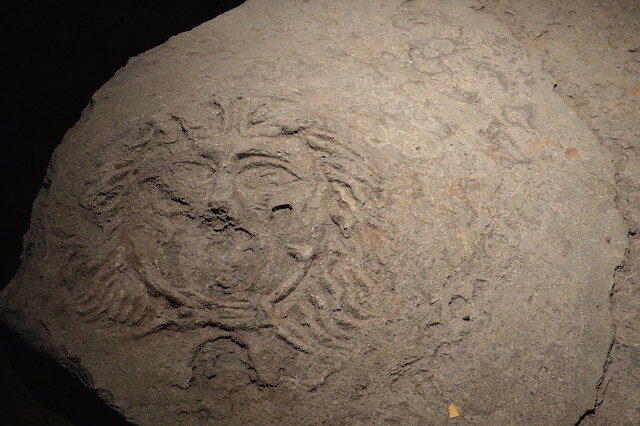 There was a Roman presence here from around 75-300 AD. I went for a pub lunch in the Hanbury Arms where Idylls of the King was written by Lord Tennyson and wandered around the pretty town, enjoying some rare Welsh sun. 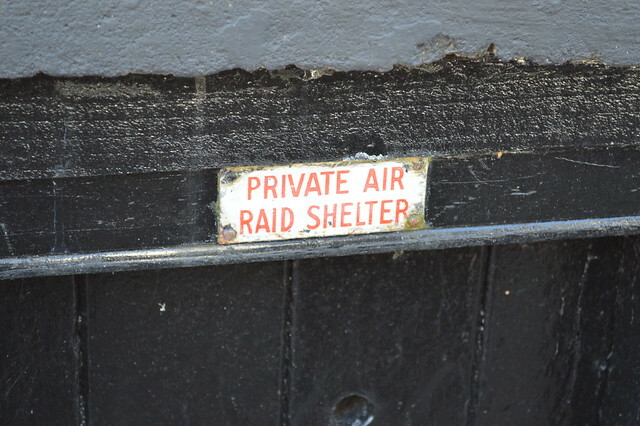 There are buildings from so many different eras in this town and lots of interesting little details like the air rail shelter sign I found. Caerleon is the perfect place to visit and I had a lovely afternoon there. I like the dress on you its a good cut and the grain in the fabric is really nice. Oh no, sorry for the loss of your photographer :p But hurrah for moving house, it can be stressful but is worth it! You look fab. 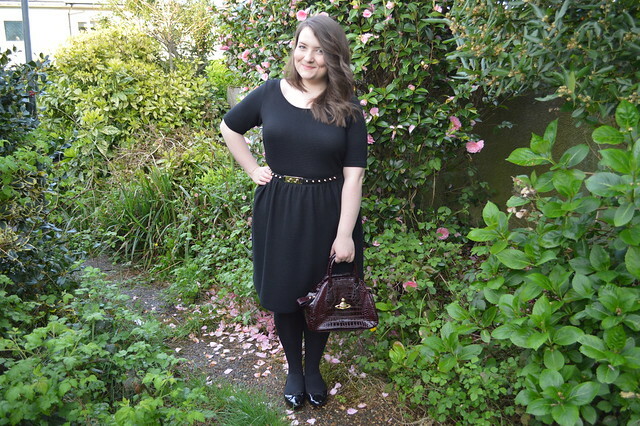 Have a v similar dress but been reluctant to wear it with black tights (getting old! ), but maybe the gold in the belt breaks it up? Gorgeous dress, love the cut and length! 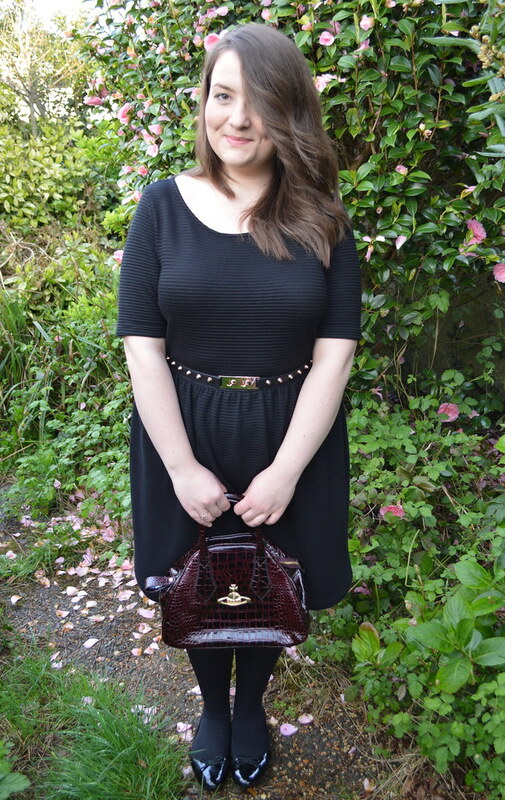 Caerlon looks lovely and this dress is ace, M&S have had some lovely stuff in recently! I've been to Caerleon so many times but never actually explored it, we just go there for pub crawls! Will have to have a sober day trip there soon.